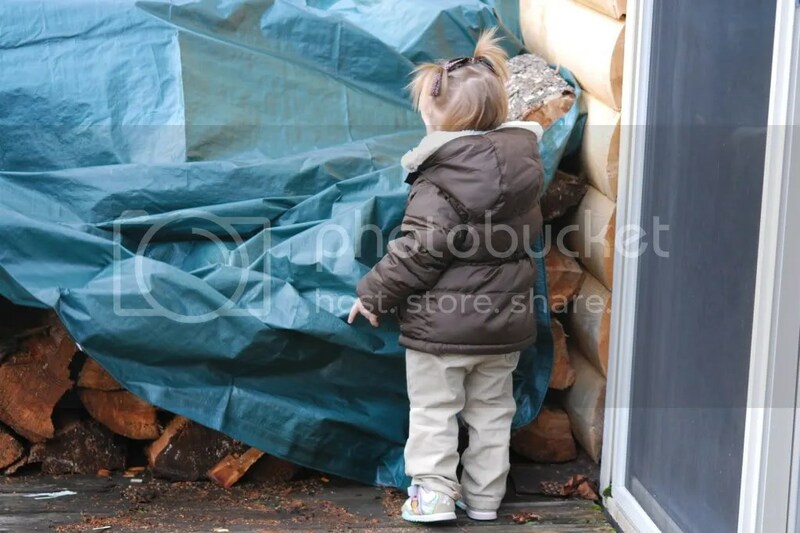 Rachael loves to help Papa Todd get firewood for the fireplace upstairs. I think it’s partially due to the fact that Papa’s doing it and it involves wearing Dora shoes, a coat, and going outside. But, no matter what the job – even putting a tarp over firewood – babies make getting the job done just a little more fun and definitely photo worthy!